Several years back (or a few vintages back to use vintner's parlance) , First Drop Wines dragged me kicking and screaming into the worst proposition of my career: draw comics about wine. 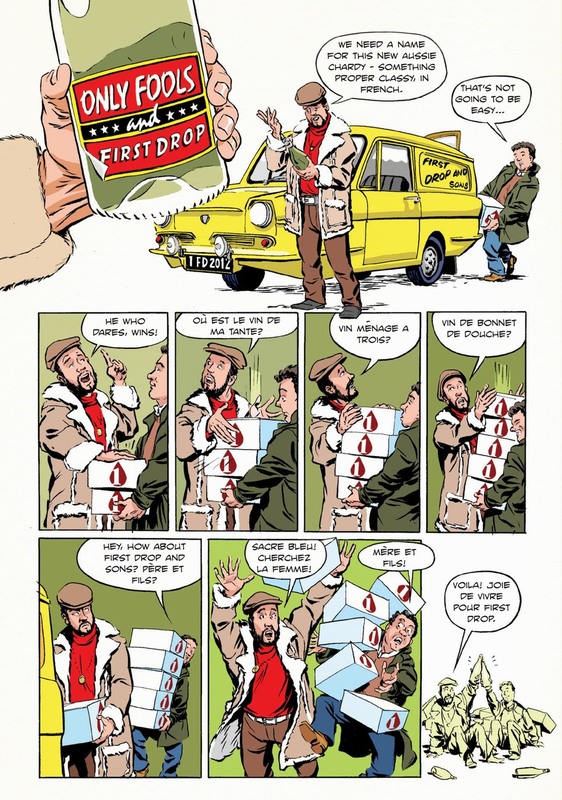 Every year since, Matt Gant and John Retsas have promoted their fine product through the four-colour pulp medium in "The Adventures of First Drop", utilizing one-page scripts often parodying films and television. Those comics found their way onto their labels and a handsome bottled library is building up on my shelf, with the 2013 label on my desk this week. Available in red and white the world over. Always read responsibly.